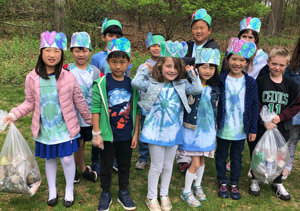 Memorial first graders cleaned up the schoolyard for Earth Day! 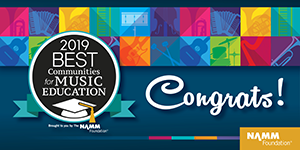 Thank you for keeping our campus beautiful! 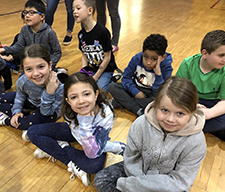 The second-graders in Ms. Scimeca, Mrs. Moore, and Mrs. Schlossberg's classes had a great time performing fairy tales for their classmates. Take a peek at the adorable photo! 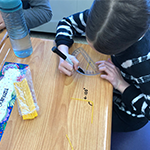 Fourth grade students at Memorial Elementary School in Paramus had a fun hands-on math lesson by using Bendaroos to practice making and measuring angles. It was a great learning experience for all! The first grade classes from Memorial Elementary School visited the Behnke Museum on Wednesday, April 10. 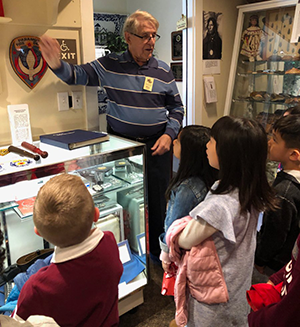 While touring the museum, the students learned about the history of Paramus and viewed antique tools, toys, furniture, and many other irreplaceable pieces of local history. 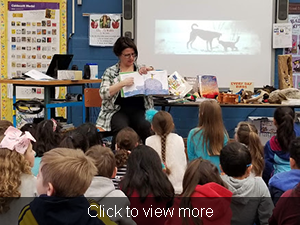 On Friday, April 5, poet/writing teacher Amy Ludwig VanDerwater visited Memorial Elementary School. 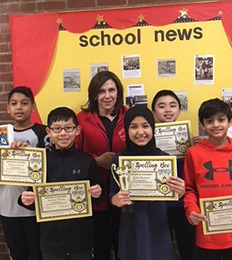 She meet with each grade sharing poems and having writing workshops with students. 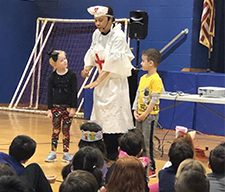 Thank you, Amy, for sharing your time with us! 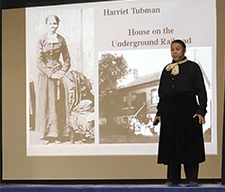 The Memorial Elementary School PTA sponsored an assembly about women in history. "They Made a Difference: Women in History" is an exciting forty-five minute program devoted to illuminating the lives and work of historical women. It was a great learning experience for all! 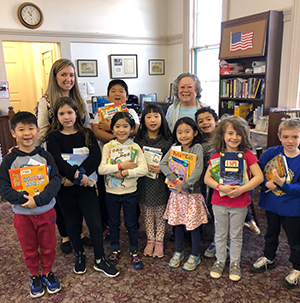 Our first-grade students visited the Branch Library to learn about the history of Paramus and to borrow some books. Thank you, librarians, for your help! Ms. Polster's first-grade class enjoyed an outside reading lesson. 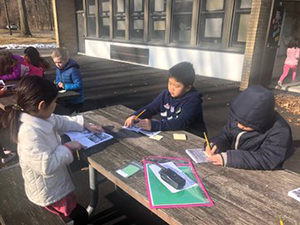 They read their nonfiction books and took notes on the important facts they learned while they enjoyed the warm weather. Welcome spring! 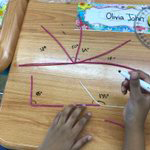 The family science program at Memorial Elementary just started its 31st year. Participants conduct various experiments during the six-week workshop session. 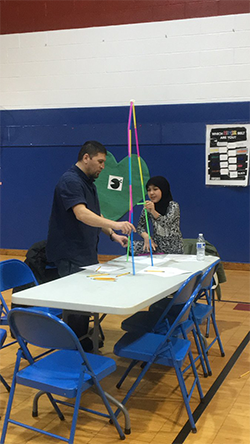 Families answer curious questions, design structures, make ice cream, and perform other exciting experiments. 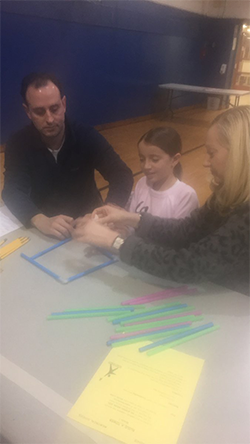 The instructors, 3rd grade teacher Mrs. Gina Boisits and 4th grade teacher Ms. Kaitlin Moran, find this program a rewarding and enjoyable experience for parents and students. Mrs. Fitzgerald’s third grade class at Memorial Elementary School had a wonderful grandparent visit. 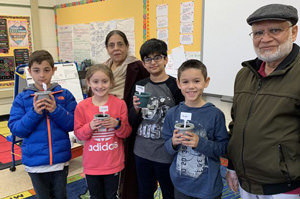 The grandparents taught the class about seeds and planting. The entire class planted and is now growing tomato plants from seeds. 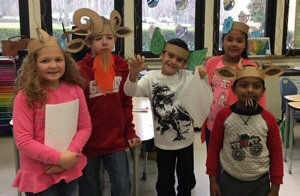 Students at Memorial Elementary School celebrated the 100th day of school on February 20. Kindergarten students decorated crowns to wear. A kindergarten student in Mrs. Baker’s class brought in 100 books. The class sorted the books into ten groups of ten, and got busy reading 100 books. 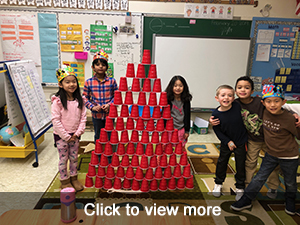 Students in Ms. Polster’s first-grade class at Memorial School stacked 100 cups to celebrate. 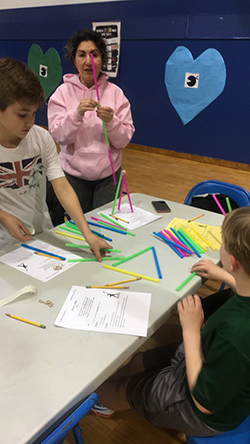 The students used teamwork to build different kinds of towers. June will be here before you know it. Keep up the good work kids! Let’s stay connected. 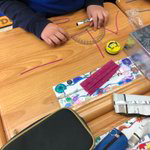 “Like” our PTA Facebook page and catch the news as it happens!